August 21st- Busy day in Japan! The action seemed to go quiet for a while but picks up suddenly this weekend. Saturday was big but in many ways Sunday is busier with 3 Japanese shows and a Singaporean show, featuring a streamed card, courtesy of asign, and an OPBF title bout. The OPBF title bout from an intriguing card in Okinawa where we get several bouts between Japanese locals and Filipino visitors. The most notable of those international bouts will see OPBF Super Flyweight champion Rene Dacquel (17-6-1, 6) take on veteran challenger Go Onaga (27-2-2, 18) in a bout that both men will see as a must win bout. For the 36 year old Onaga a loss here will likely thwart any dreams of fighting for a world title, his one major dream. A loss for Dacquel however would probably see his own dreams shattered, and many would likely suggest that he won't ever progress beyond continental level. A really interesting supporting bout will see Japan's Seita Ogido (10-2-1, 3) battle former world title challenger Jeffrey Galero (14-1, 7), who managed to ask some questions of Wanheng Menayothin last year. Since suffering his sole loss Galero has picked up 3 wins and will be looking to continue that winning run here. Ogido is stepping up in a huge way however he will be looking to be buoyed on by the local fans with Ogido being a local fighter to Okinawa. On paper the biggest mismatch between the Japanese and Filipino fighters will see Masatoshi Kotani (18-2, 13) battle against journeyman Jovill Marayan (9-22-3, 4). Kotani is on an 8 fight winning run, albeit against limited opposition and should extend that here against a man who has gone 1-10 in his last 11 bouts. The asign show, which will be streamed on a PPV basis, is a Yokohama Hikari card and although it's not the best card of the weekend all the bouts will be streams and several of those are worth noting. The biggest bout on the card is the main event which will see former world title challenger Daiki Kaneko (23-5-3, 15) continue to try and rebuild his career after losses to Jomthong Chuwatanab and Masao Nakamura. The former Japanese champion will be up against Japanese ranked fighter Yusuke Nakagawa (10-4-1, 6) in what looks to be an easy win for the experienced man, at least on paper. Nakagawa however is an under-rated fighter and will be a stiffer tests than his record suggests. Another bout of some interest here will see recent OPBF title challenger Futoshi Usami (13-2-1, 10) face off with the heavy handed Tatsuya Miyazaki (8-8-1, 8). Usami challenged Masayoshi Nakatani for the OPBF title in 2014 but has only fought 6 rounds since then and Miyazaki might see this as his chance to take advantage of his opponents inactivity and end a 4-fight losing streak. A third Japanese show will come from Hyogo, sadly however the card is less than great despite featuring a former world title contender. That former world title contender is the light hitting Teiru Kinoshita (24-1-1, 7) who will be facing a Thai visitor as Kinoshita looks for a 6th successive win. Kinoshita, who lost to Zolani Tete in an IBF title fight, has stated in the past that he would like another world title bout, will need to start facing better opponents that Thai novices if he's to be full prepared for a world level bout. Another local taking on a Thai foe will be Kazuhiro Nishitani (15-4-1, 7), and as with the Kinoshita bout we're unsure on the name of the Thai. Nishitani has gone 1-2-1 in his last 4, including a loss in a Japanese title fight to Kota Tokunaga, but should come away with a win here. 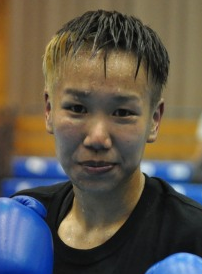 In an all Japanse bout Kazuya Murata (12-5, 5) will face Makoto Kawasaki (7-4-1, 1). Coming in to this Murata holds a #2 ranking with the JBC at Lightweight and know that he could move towards securing a Japanese title fight with a win here. For Kawasaki, who is 3-3 in his last 6, this is a great opportunity to move towards a ranking place. Another man looking to secure a ranking place with an upset will be Satoshi Momota (10-11-1, 4) who faces ranked Light Welterweight Kazuyasu Okamoto (11-4, 3). Despite being the “promoter's boy” Momota will be the clear under-dog coming into this one. Fight fans in Singapore will also get some action, albeit low level action. In the main event former amateur stand out Muhamad Ridhwan (3-0, 2) will be up against Filipino Jonel Borbon (2-19-2, 2). Ridhwan was given some attention on debut following his amateur success but appears unlikely to become a star that Singaporean fight fans would have been hoping for. Staying with local talent Nurshahidah Roslie (3-0, 1) will be up against the debuting Krisna Limbaga (0-0). Roslie claimed the UBO Inter-Continental title last time out but will not be defending her title here.